Prime Minister Theresa May speaking in the House of Commons after surviving the no-confidence vote. On Wednesday night, 325 MPs voted to have confidence in the government, with 306 voting in favour of the no-confidence motion. Labour leader Jeremy Corbyn led the motion of no confidence against the Prime Minister and her government after Mrs May’s Brexit deal was defeated by a majority of 230 votes on Tuesday night. Speaking after the result, the Prime Minister said: "I am pleased this house has expressed its confidence in the government tonight. “We will continue to work to deliver our solemn promise we made to the people of this country to deliver on the result of the referendum and leave the European Union. “I believe this duty is shared by every member of this house and we have a responsibility to identify a way forward that can secure the backing of the house." 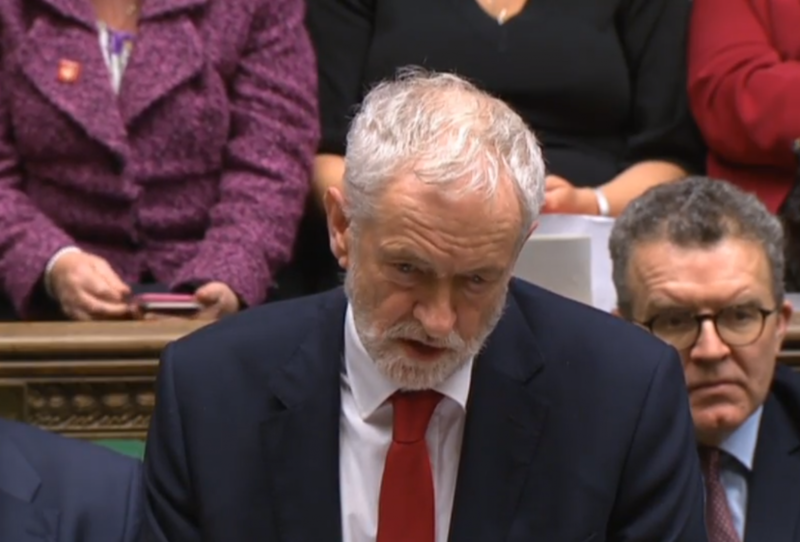 Labour leader Jeremy Corbyn speaking in the House of Commons after his motion of no-confidence was defeated. The Prime Minister then called on leaders of all parliamentary parties to meet with her individually to discuss the negotiations, starting that evening. She added: "The government approaches these meetings in a constructive spirit and I urge others to do the same. "We must find solutions that are negotiable and command sufficient support in this house. "We will return to the house on Monday to table an amendable motion and to make a statement about the way forward."